Klay Thompson thinks the Golden State Warriors' rivalry with the Los Angeles Lakers will be "intense". Los Angeles and Golden State are set to conclude the preseason with two matchups this week. 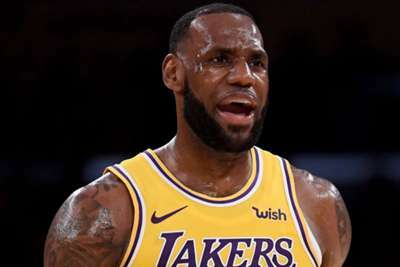 Those contests will be the first time the Warriors have faced the Lakers since LA inked star LeBron James to a four-year, $153.3million deal in the offseason. "I think it's pretty cool," Thompson told ESPN about James joining the Lakers. "I don't think you would have guessed it when he was with the Cavs when he started his rookie season, but it's adding a ton of interest in the league." The Warriors faced James' Cleveland Cavaliers in the last four NBA Finals. But, this will be the first time he is in the same conference as the two-time defending champions. "We've seen him, he's always been at the top of the East during the Finals," Thompson said. "And those games are always intense. I expect him to greatly improve the Lakers and they've obviously got a bunch of guys who are proven now. "I just expect it to be intense. Any time you play against arguably the best player in the world, no matter what sport, you want to measure yourself against him. So you play as hard as you can … it will be no different when we play the Lakers." The Warriors and Lakers will play the first of their two preseason games on Wednesday.